How do you become the preferred asphalt contractor in the Mid-Atlantic Region? Through honest work, attention to detail, exceptional customer service and respectful partnerships with your clients. Working with Macadam Company increases the value of any property. Macadam can repair or replace your damaged or weathered sidewalks and curbs. For over 30 years, Macadam Company has been the preferred asphalt and concrete contractor in the Mid-Altlantic Region. 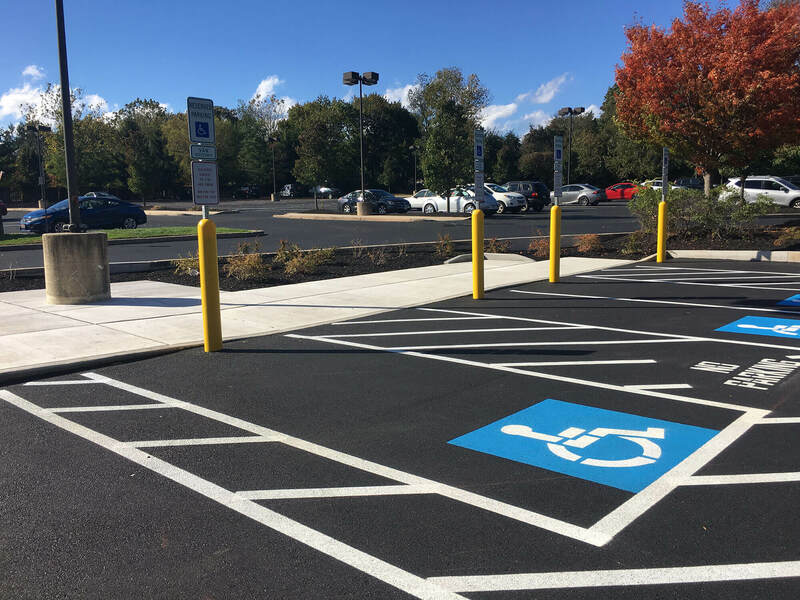 Macadam is uniquely qualiﬁed to complete any size pavement maintenance project from start to ﬁnish, including evaluation, development, and pavement maintenance plans. Partial and full-depth repairs, potholes, sub-base excavation and fabric stabilization.